Coverage Counsel: Multiple Claimants But Limited Coverage: Chronological Priority or Pro Rata Payments? One of our auto insurer clients called me this morning with a question. Does New York follow the "first in time, first in right" (or first come, first served) or pro rata method of making payments of limited coverage to a single occurrence's multiple claimants? The loss scenario was a familiar one: insured with a $25,000 property damage coverage limit totals five autos in one swell foop. Four of the vehicles had physical damage coverage; one did not. By what method should the auto insurer pay each of the five claimants? It had been a while since I looked at that question, so I did a smidge of research (on Google Scholar of course) and rediscovered that New York generally follows the “first in time, first in right” or pro rata payment rule for third-party liability coverage payments in cases where there is limited liability coverage but multiple claimants. There is no statutory (Vehicle & Traffic Law or Insurance Law) or regulatory (Regulation 64) law in New York controlling or answering this question other than for vehicles for hire (Vehicle & Traffic Law § 370). Case law, however, indicates that the New York follows the “first in time, first in right” method or principle in paying multiple PD claims for other than damages caused by vehicles for hire. Generally, absent bad faith, an insurer is not obligated to pay out claims ratably and/or consolidate them (Allstate Ins. Co. v Russell, 13 AD3d 617). Instead, under the "first to settle rule," it is recognized that insurers are able to settle with any or several of multiple claimants, even though these settlements deplete or exhaust the policy limits (see STV Group v American Cont. Props., 234 AD2d 50; Duprey v Security Mut. Cas. Co., 22 AD2d 544; David v Bauman, 24 Misc 2d 67). It is not asserted that the policy at issue here provided for ratable distribution (Stolove v Fidelity & Cas. Co. of N. Y., 157 Misc 106) and, with one exception, there appears to be no statutory provision which requires a liability insurer to make a distribution of the proceeds of a policy among multiple claimants injured in an automobile accident on a pro rata basis. The one exception is section 370 of the Vehicle and Traffic Law which provides for such a distribution with respect to vehicles for hire. The fact that the Legislature has explicitly named a class of persons who are to be benefited by a ratable distribution of insurance proceeds raises an inference that the omission of such a provision with respect to others was intentional (see McKinney's Cons Laws of NY, Book 1, Statutes, § 240; see David v Bauman, 24 Misc 2d 67). Where section 370 is not applicable and there is no pro rata provision in the policy, the contest of multiple plaintiffs for the limited assets of a common defendant has generally — at least in this jurisdiction — been solved in terms of chronological priority, the "first in time, first in right" rule (David v Bauman, supra; see 32 U of Chi L Rev 337). Thus, an insurer who settles with some parties injured in a collision is liable only for the remainder of the policy limits even though it may have been aware that the total claims would probably exceed the policy limits (Duprey v Security Mut. Cas. Co., 22 AD2d 544; O'Dwyer v Grove Serv. Corp., 15 Misc 2d 154, affd 15 AD2d 457), and an injunction enjoining payment by an insurer on judgments already obtained until after all claims have been reduced to judgment so there can be a pro rata distribution will not issue (Pisciotta v Preston, 170 Misc 376; see Ann., 70 ALR2d 416). Research reveals only one recorded case in New York where a court has ordered a ratable distribution among multiple plaintiffs (see Wasserman v Glens Falls Ins. Co., 19 AD2d 552) but in the cited case the two claims (that of the injured plaintiff and the derivative claim of her spouse) were joined in one suit. In answering the client's question, I presumed that the policy at issue does not provide for ratable payments in cases of multiple claimants from a single occurrence. In the loss scenario described, therefore, the insurer could elect to follow the “first in time, first in right” or chronological priority method of paying the multiple claims. What I recommended the insurer do was to try to obtain agreements from all five claimants (the one uninsured claimant and four subrogating insurer claimants) to accept a pro rata share of the $25,000 policy limit. Section 216.10(e) of Regulation 64 would still require written offers “[w]ithin ten business days of the completion of [the insurer's] investigation of [each] property damage claim”, and I recommended each such written offer advise each claimant that the sum of all five claims exceeds the $25,000 policy limit, just to be on the safe side of Regulation 64 compliance. 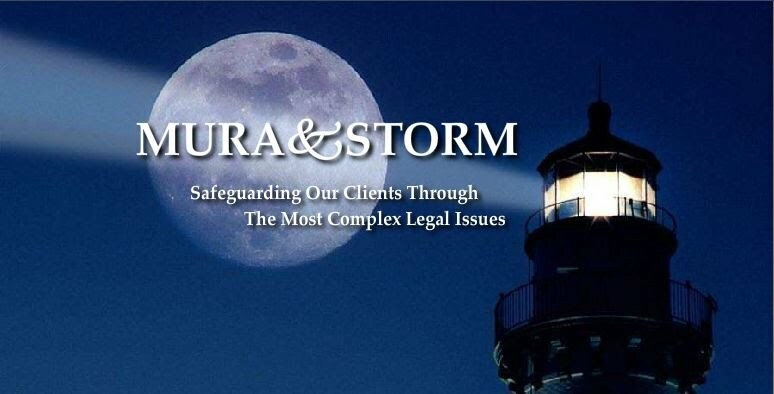 The best outcome for the insured obviously would be for the insurer to obtain releases from all five claimants for pro rata payments to all five claimants, but the uninsured claimant may not be as willing to accept a pro rata amount as the subrogating auto physical damage insurers likely will be. In such a case, I would make the best deal possible with the uninsured claimant and pay a pro rata amount to the remaining insurer claimants in exchange for releases. Any claimant not willing to provide a release of the insured in exchange for a pro rata payment could be paid in full from any remaining coverage limit on a chronological priority -- first in time, first in right -- basis. Sound right? Let me know by commenting below if you think differently. Can you file an interpleader in NY? Yes, interpleader is available in New York, although I haven't seen it used for third-party claims. Just first-party claims, although yours is an interesting thought.